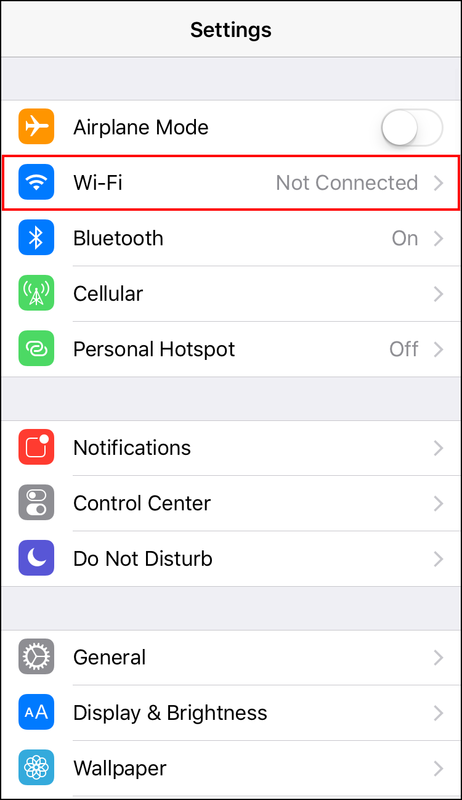 This document explains how to connect to UWM Wifi Visitor network with an iOS device. 2. Open the Wi-Fi page. 3. 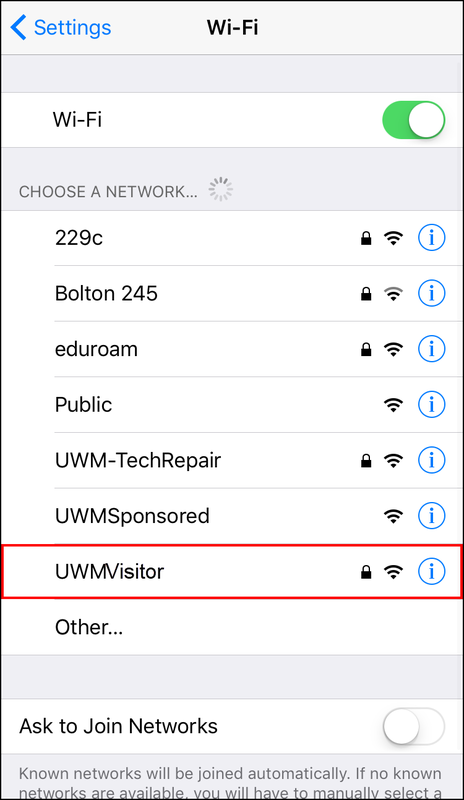 Under CHOOSE A NETWORK... select UWMVisitor. 4. 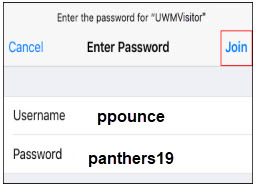 You will be prompted to log in using only the password "panthers19". 5. 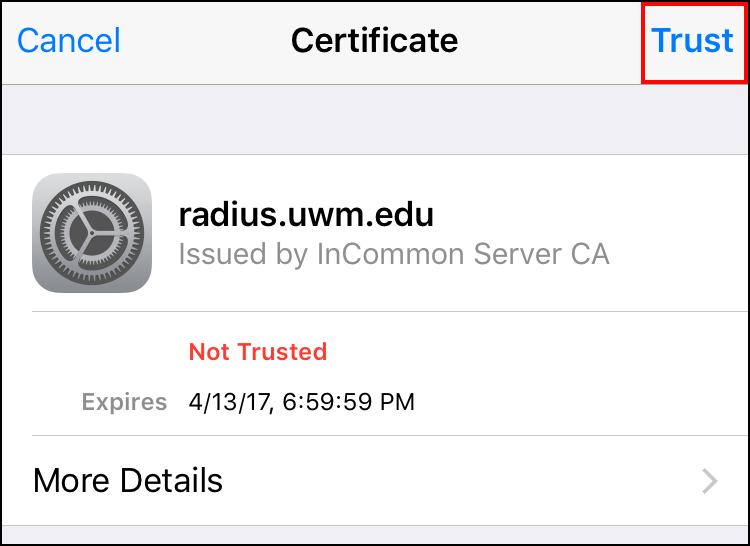 If a certificate page opens, select Trust at the top right corner of the screen. 6. Click Trust and Connect!